Ryan, you didn’t mention low down payment as a big factor for going FHA. That is a big reason people get FHA financing. 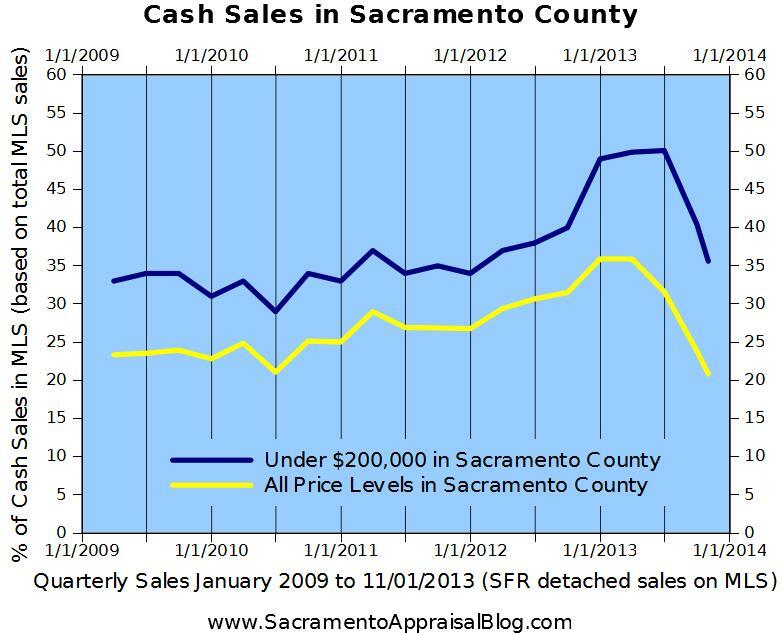 I’m seeing similar trends in my markets-FHA has made a comeback as cash buyers have disappeared. Joe, thanks for the comment. 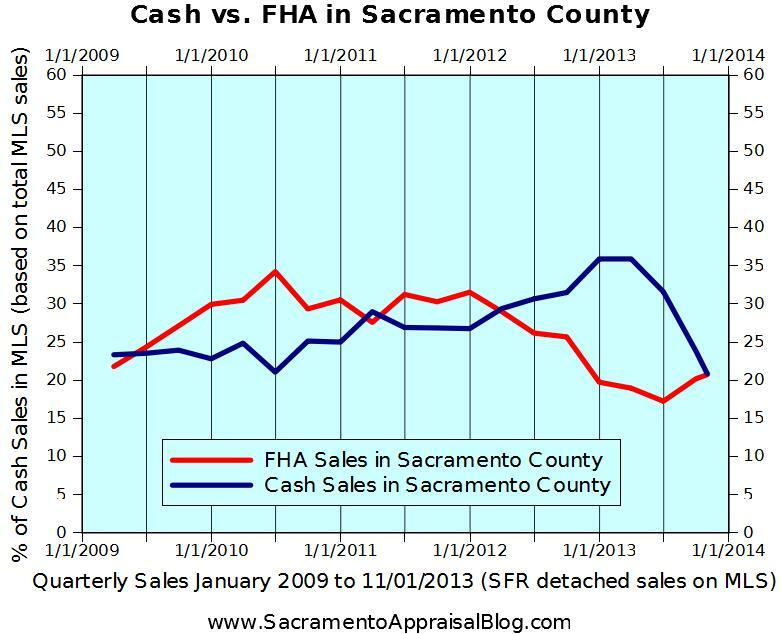 You are so right about the comeback and definitely right about why FHA has been so popular. The main theme here that I’m considering is that I’ve been hearing from some that FHA has been harmed because of the new mortgage insurance rule a few months ago (must be paid for the life of the loan). That is simply not the case though when looking at the stats. In a couple weeks Fannie Mae is going to no longer have their 97% loan, which should also give more strength to FHA since their buyers will only have to put 3.5% down (Fannie Mae will still have a 5% conventional loan though from what I understand). Ryan, thank you for the reference in your blog post about FHA’s mortgage insurance premium being permanent. I don’t have a way to access the data like you have, but I think you are onto something. With cash buyers leaving the market, we are probably seeing an influx of lower credit FHA buyers stepping up to the plate and making offers. (If they still qualify due to the rate increase and run up in home values). So we should see FHA loans increase going forward, but that is exactly what FHA doesn’t want, right? But I can say without a doubt, I have funded more 5% down Conventional loans in the last 6 months than I have in 5 years. Why? The typical lower fico borrower (660-700) normally using FHA financing is now finding Conventional financing with PMI to be more affordable than FHA AND they don’t have to worry about being stuck with the FHA’s MIP for life. Thanks Brad. I always appreciate your take. It is ironic to see FHA increasing when HUD is seemingly trying to scale things back. 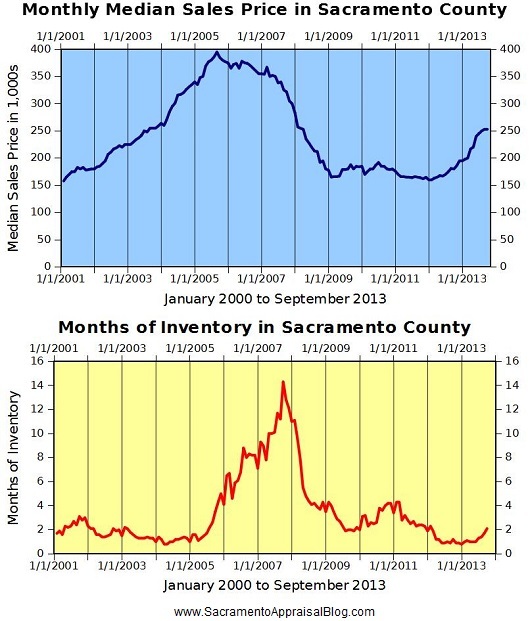 Conventional is also increasing in the Sacramento market. The 5% conventional is definitely a viable product, but that extra 1.5% can still be difficult for Borrowers to come up with. Over the long term it’s a much better deal than FHA I think, but that extra $3,000 to save up for a $200,000 property can be daunting for buyers without much to put down in the first place. Thanks for the stats and video, Ryan! That’s really awesome! 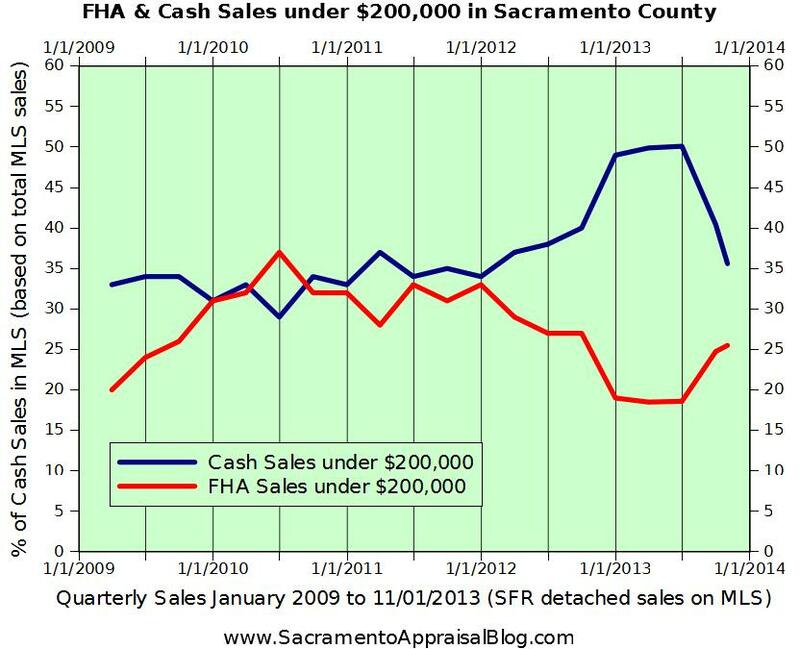 The buyers going into escrow today are a mix of cash, FHA, conventional. I feel listings, not the escrows, measures some of the number of people who aren’t in the market buying anything – those non-buyers are the ones I hear grumbling about needing to pay Forever-PMI. Thanks Anne. I always appreciate your take on the market too. It’s easy to assume things about the market. That’s why we need to really watch metrics and look closely. Lots of buyers may not like the PMI, but they certainly are willing to pay it right now.